Chiropractic care can help a variety of problems including decreased performance, gait issues, arthritic conditions, loss of range of motion, injuries and even behavioural issues. Initial assessments involve gait analysis, usually while lunging or riding the horse. Range of motion, muscle tone/condition, stance, and conformation, are also evaluated. 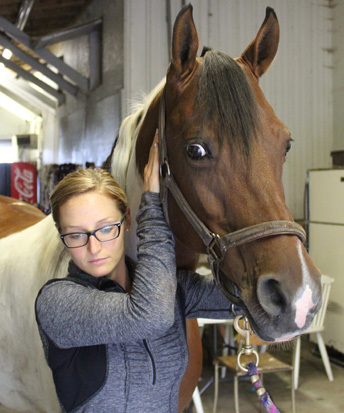 Palpation of the horses muscles and joints is conducted to identify problem areas. Chiropractic treatments can take anywhere from 40 minutes to 1 hour depending on the condition of the horse. Treatment schedules for chiropractic care will be determined based on the animal’s needs.